To watch your radio station grow, it’s essential to connect and engage with listeners. Social media is a great way to do this, helping you turn listeners into fans and grow your following with free, accessible marketing. For this reason, it’s important to set up a Facebook page for your radio station if you’re serious about its success. We’re here to give you some expert tips on how to set up your Facebook page and harness it effectively. When you log in to your Facebook account, you should see the option to ‘create a page’ on the left. Setting up a personal profile instead of a page is an easy mistake to make, but crucial to avoid if you want to establish a social media following. You can then create a Facebook url (e.g. www.facebook.com/spacialaudio), and add a widget to your website if you have one, to make it easier for your fans to find you. Once you’ve established your page, get to work on branding. Image matters if you want to attract new listeners – here’s why [//spacial.com/radio-software-community/hey-broadcasters-your-image-matters]. 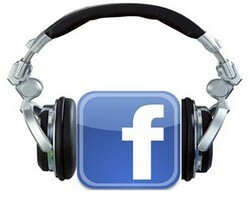 Set your logo as the profile picture, and choose a cover photo that reflects your radio station. If you haven’t got a logo yet, consider investing; they really do make professional radio stations stand out from the amateur ones. Building up your social media following takes patience. To get started, invite your friends and family to ‘like’ your page. You can also grow your following through Facebook advertising – from a few dollars per day, you can promote your page to hundreds and thousands of people who fit your target audience. However, perhaps the easiest way to attract fans is through your station. Make your Facebook page an extension of your radio station – post about your upcoming shows, use it to promote competitions, share guest interviews and give your listeners teasers. Likewise, mention your page on your station and ask listeners to respond via social media. Create a ‘listen live’ tab and embed your radio link, so that fans can listen directly from your Facebook page. Without content, your followers have nothing to engage with, so remember to post at least twice a week. However, don’t just make your page a tool for self-promotion – post about other issues that interest your followers, such as new album releases, the latest technology, and local events. To get relevant information on specific topics first, subscribe to Google alerts. Your Facebook page offers a unique opportunity to gather feedback from your followers. This could be through the amount (or lack of) engagement on certain posts, indicating what your followers are interested in and therefore what to post more of. Or, it could be through reviews and comments. Be prepared for the fact that not all of these will be positive. If you do get negative comments, don’t just hide or ignore them. Responding to negative comments promptly and politely gives your radio station credibility, and can paint your brand in a good light. Follow these tips to propel the popularity of your radio station, and create a fan base for free. Invest some time and effort into getting your Facebook page right, and it can be an invaluable tool for engaging listeners and attracting new ones.